What is the iPAC framework? 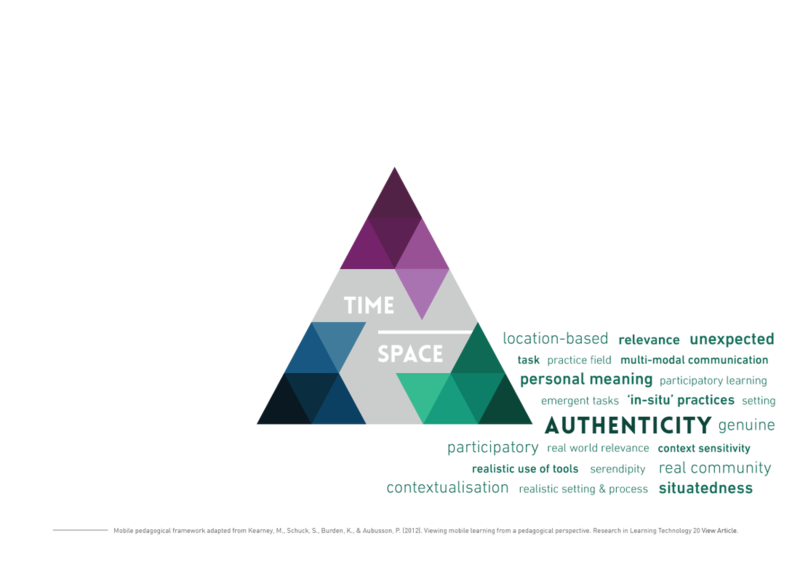 The iPAC framework is the theoretical underpinning for the Mobile Learning Toolkit. It was originally developed in 2012 by academics and teacher educators working in the University of Hull (UK) and the University of Technology, Sydney (Australia). The iPAC framework identifies the specific pedagogical features or affordances of mobile devices that makes learning distinctive. 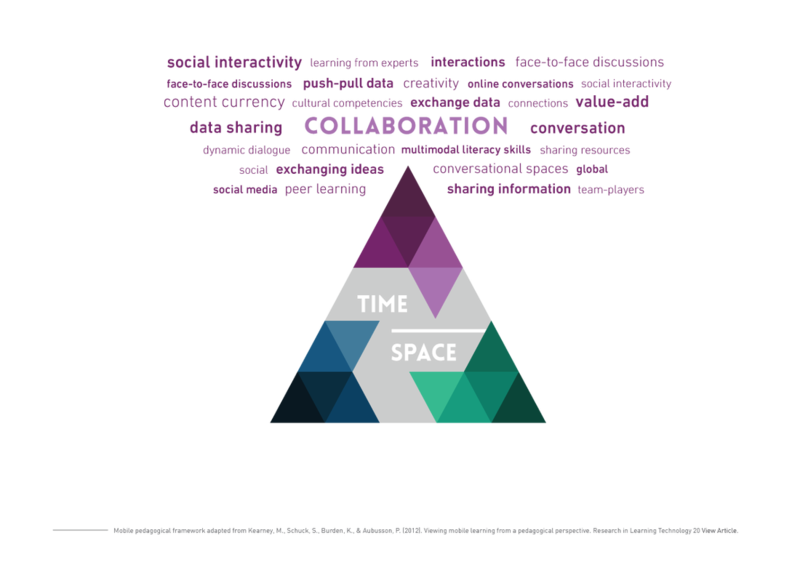 These are referred to as the 'signature pedagogies' of mobile learning and they consist of three principal constructs: Personalisation; Authenticity and Collaboration. In the iPAC framework these principal constructs are broken down into seven operational sub-constructs. You can learn more about the framework and how it can be used by educators below. How does the iPAC framework work? Personalisation is widely recognised as a key benefit of mobile learning. It includes pedagogical features such as learner choice, agency and self regulation, as well as customisation. In well designed mobile learning activities, students have greater control over the place (physical or virtual), pace and time they learn, and can enjoy autonomy over their learning content. Goals are typically set by learners and their peers. Furthermore, the learning experience can be customised for the individual learner. This can be at both the level of the tool and the activity. It is generally accepted that authentic tasks provide real world relevance and personal meaning to the learner. Mobile technologies support authentic learning through the setting; the task and the tool. Settings can be both physical and virtual in the mobile world, enabling learners to experience what it is like to learn in situ. Task authenticity refers to the extent to which tasks are realistic and offer problems encountered by real world practitioners. Tool authenticity relates to the apps and tools students are using and how far they replicate those of real-world practitioners. ﻿﻿Mobile learning allows students to enjoy a high degree of collaboration by making rich connections to other people and resources mediated by a mobile device. The networking capability of mobile devices creates shared, socially interactive environments allowing students to easily communicate multi-modally with peers, teachers and other experts, and to exchange information. 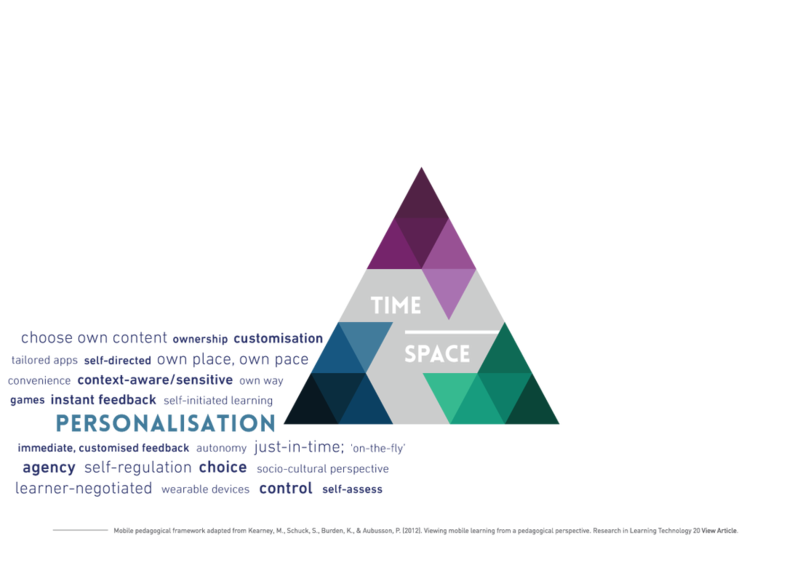 Learners consume, produce and exchange an array of ‘‘ content’’ , sharing information and artefacts across time and place.